One reason is to finally iscuss and agree on the next steps of IPC-HERMES-9852. This is possible due to professional preparation during the time between two meetings, utilizing state-of-the-art methods of “distributed development” over the internet. The fast progress of The Hermes Standard gives an impressive evidence of how powerful this process can be if all participating companies a fully committed to putting things forward for the benefit of their joint customers. The other reason, for some even more enjoyable than the “standardization work”, is to officially welcome new members to The Hermes Standard Initiative. This time, the community was happy to see the new members BTU, cts, ECD, EUNIL, GKG, Keysight, OSAI, Seho, SolderStar, Sick and Universal Instruments introducing themselves. 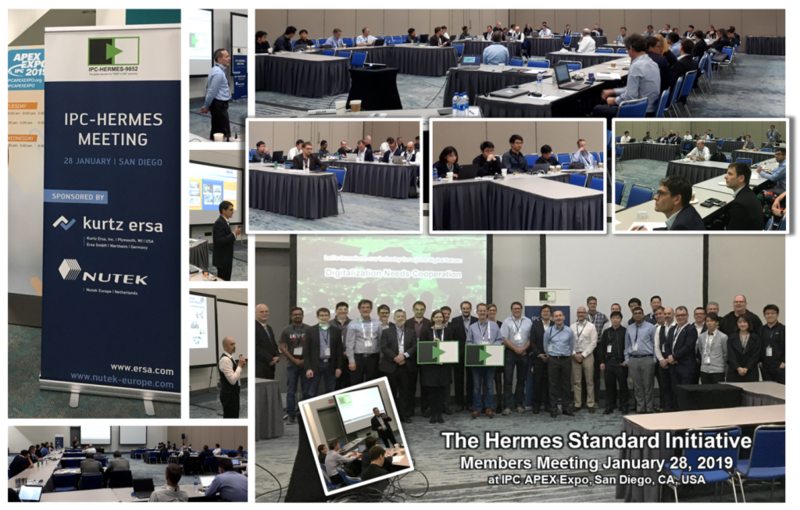 Now, after less than two years since the foundation meeting in March 2017, The Hermes Standard Inititative is happy to have in total a group of 57 members and applicants supporting The Hermes Standard IPC-HERMES-9852. The meeting itself was again very successful. The focus this time was set on both next development steps and on next activities to further increase the base of productive lines in the field. Many thanks go to kurtz ersa and Nutek and their respective teams for greatly organizing and hosting the event.